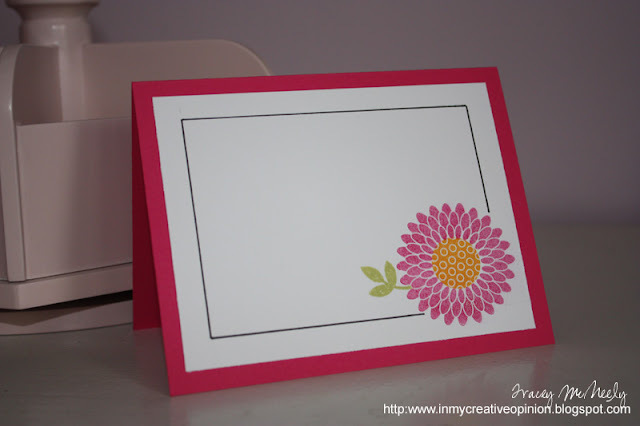 This week Nichole Heady did a video tutorial on how to easily draw a black line frame around an image on your cards. Its took me, butterfingers, a few tries to get it right but I am pleased with the end result. My card is now ready to be customized with a sentiment inside. 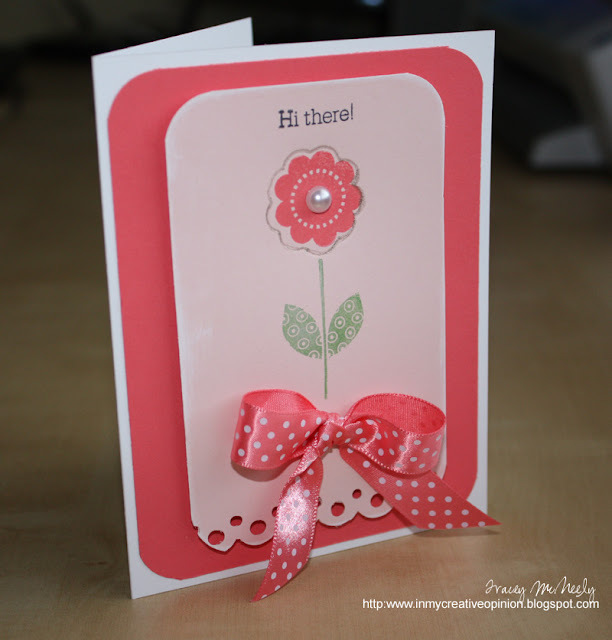 I like having some generic cards﻿ on hand so that when an occassion comes up I can just pop in a suitable sentiment and the card is ready to go. Thanks for dropping by. 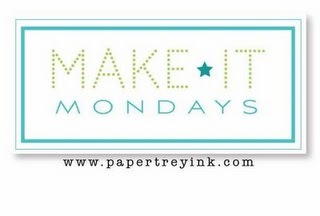 This month Papertrey's Blog Hop was dedicated to the men in our lives. We were challenged to focus on masculine color schemes, fresh pattern combinations, understated embellishments and unique uses of images you may already have in your stash! My husbands birthday is coming up in May so I took this opportunity to get a head start on his gift. I chose Dark Chocolate and Simply Chartreuse for my colour scheme. 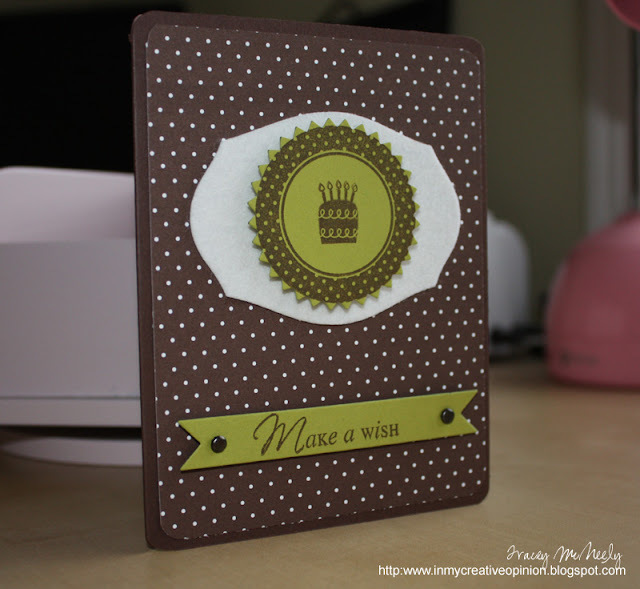 Dark Chocolate Cardstock was matted with Bitty Dot Basics then a simple embellishment was made with Vintage Cream felt topped with a Simply Chartreuse pinked circle stamped with a Tag-its #2 frame and birthday cake from Tag-its #1.The circle was adhered using foam tape. The sentiment at the bottom of the card was from Make a Wish Additions and also adhered with foam tape. 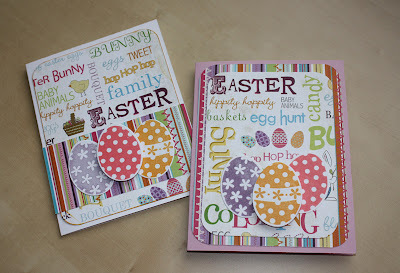 Rounded corners and chcolate brads finished off the card. Happy Good Friday Everyone! Just popping in today to share a couple of cards I made for my two kids this Easter. 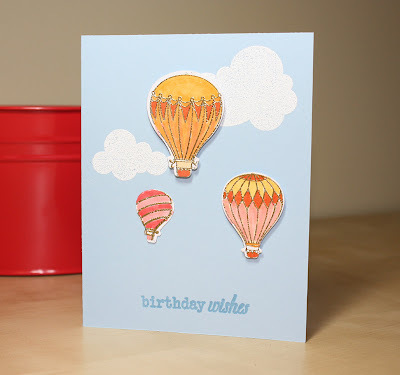 ﻿This week Heather Nichols demonstrated using the reverse of dies to emboss cardstock for a completely new look. She also demonstrated how to use both sides of the dies to create dimension. 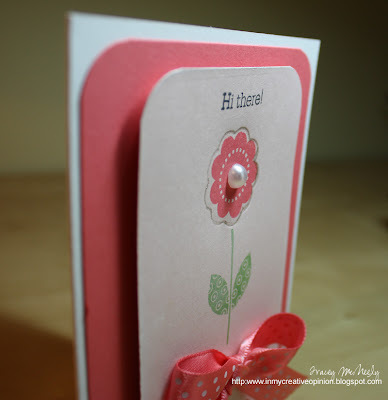 For my card this week I used Melissa Bickford's Flower Fusion #1 die and stamps. When I first tried this technique the die was leaving a silver residue on the embossed image. After searching the Papertry Ink forum I found a post with a suggestion of placing a piece or parchment paper between the die and my cardstock piece. Voila! No residue, it worked perfectly. 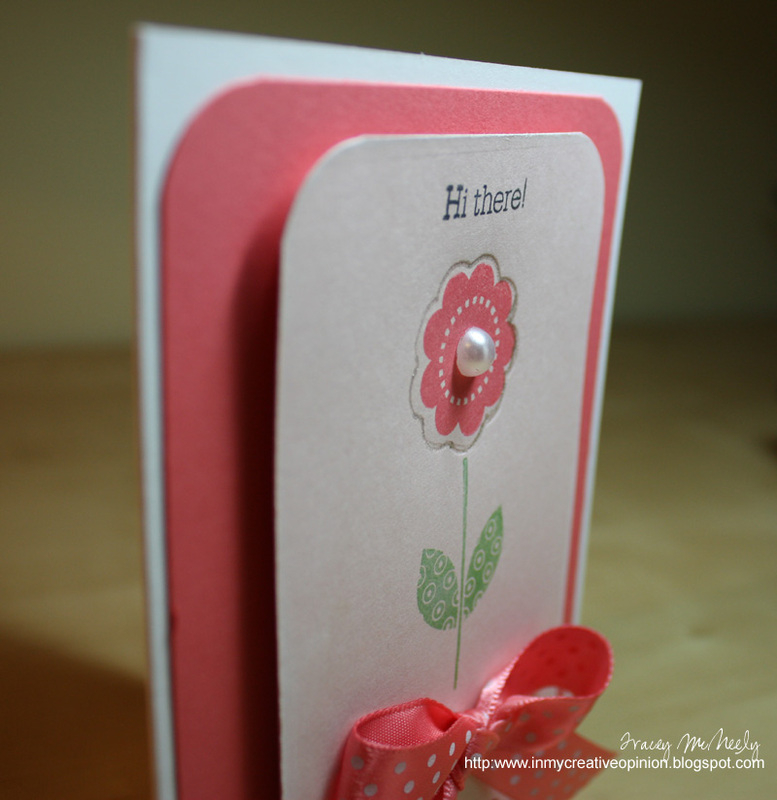 I embossed the flower on a piece of Sweet Blush cardstock, then a used the co-ordinating stamp and stamped with Berry Sorbet the inside of the embossed image. I then traced the embossed image using a clear Jelly Roll pen. I need to work on my aim when stamping on or inside a die cut shape. I really love the colours of this card, they make me happy. A really fun technique that adds extra value to your dies.